Brow lift is a procedure to restore a sagging brow line to an elevated position and smooth wrinkles and creases on the forehead or between the eyebrows. The result is a fresh-faced, smooth and youthful appearance. 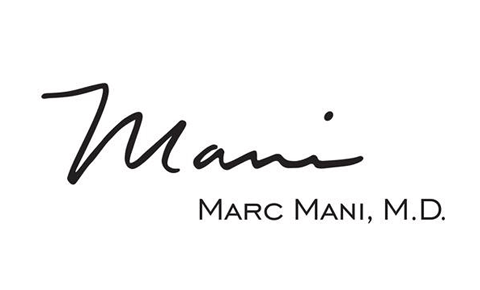 Dr. Marc Mani is known for using the less-invasive endoscopic brow lift technique, which results in less scarring, post-operative bruising, and swelling. Am I a Candidate for Brow Lift? Suitable candidates for surgery must be in good physical and psychological health, not smoke and not have any chronic or uncontrolled medical conditions that could raise the surgical risks. Dr. Mani will evaluate you as a candidate for brow lift during a one-on-one consultation at his Beverly Hills plastic surgery clinic. He will perform a physical examination of your facial features, noting the degree of eyebrow sagging, severity of wrinkles/creases and quality of your skin. If he determines that brow lift is a good fit for your needs, he will help you set reasonable expectations and goals of surgery, and provide information about preparing for your procedure. Endoscopic brow lift involves the use of an endoscope, a small surgical instrument consisting of a tubular probe with a small camera and light on the end. Because endoscopic procedures involve smaller and fewer incisions, there is minimal scarring — a huge advantage during facial procedures. Smaller incisions also reduce the risk of possible sensory loss due to nerve damage. Endoscopic brow lift is performed on an outpatient basis at our surgical center. In many cases, local anesthesia with sedation can be used. You will be completely relaxed and comfortable during the procedure. Dr. Mani will make small incisions around the temples; only a few incisions, less than an inch long, are required. Dr. Mani will then insert the endoscope underneath the skin. The endoscope will project and magnify the body’s internal structures into a monitor in the operating room. Dr. Mani watches the screen while moving the tube through the surgical area, and uses it to guide him. Through the incisions, Dr. Mani will work on the underlying structures of the forehead. He will adjust the tissue and muscle causing the sagging brow and/or creases and wrinkles, and he will remove excess skin. When Dr. Mani is finished making the surgical modifications, he will close the incisions with small sutures and dress them. Swelling and bruising are normal after surgery, and will subside with time. If you have any post-operative pain, take oral medication as prescribed by Dr. Mani. You will meet with Dr. Mani for several follow-up appointments where he will review your healing progress, remove stitches and advise when to return to work or your normal routine. It’s important that you listen to your body and not rush your recovery. Typically, brow lift patients return to their regular activities within 10 days or so. You will see results almost immediately, and they will become more apparent as the swelling and bruising subside. Your forehead will look smoother and less wrinkled, and your lifted eyebrows will open your face up so you look friendlier and more approachable. After healing from surgery you should have very little scarring (if any). To view results from previous patients, visit our brow lift before and after photo gallery. To learn more about brow lift and whether it is a good fit for your facial rejuvenation needs, please schedule a consultation with Dr. Mani. Call (310) 203-0511 or send us an email today.